"As a North Denver guy, I always look forward to summer ushering in great times walking the neighborhood feasts and bazaars, with a sausage sandwich in one hand and an ice cold one in the other, as “Sweet Caroline” plays in the background. 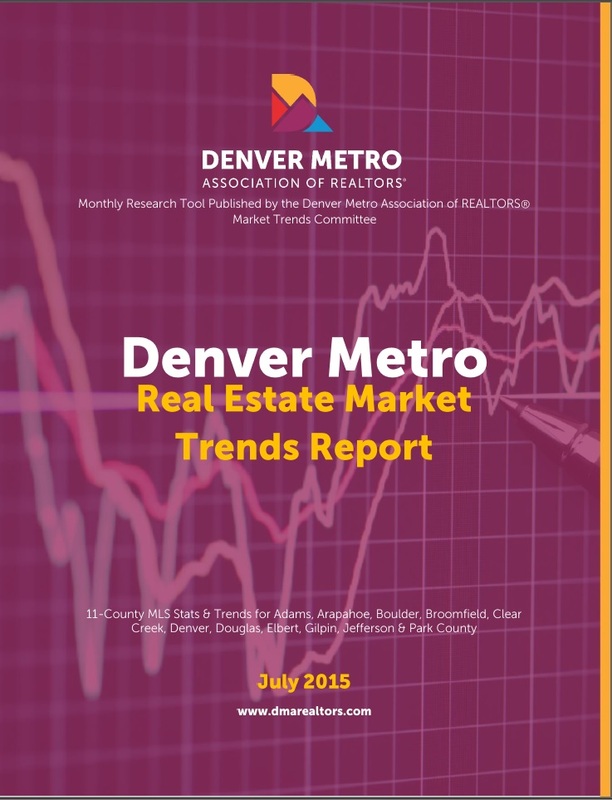 Well, the sweet sound my fellow Denver Metro REALTORS® heard in June was 10-10-10, or as any Northsider would say, “An ace, a deuce and a tre.” So what exactly was the significance of 10 at the end of June as it relates to the Residential (RES) market? How about a 10% increase in active listings, sold properties, and a record-breaking $2.15B in overall sales volume compared to the previous month! Digging into our June stats, it was a record-setting month in several categories: Residential (RES) SOLD prices averaged $377,550, with the median at $325,000 and closed dollar volume of $2.15 Billion; Detached Single Family (DSF) SOLD prices averaged $424,609 with the median at $362,000 and closed dollar volume of $1.7 Billion; Condo (Attached Single Family) SOLD prices averaged $217,999 with a closed dollar volume of $423.9 million and number of homes SOLD at 1,631. We brought on 7,130 new listings, 5,823 homes were placed under contract and a whopping 5,695 homes sold and closed. As we look at the month-over-month Detached Single Family Home market, we saw a slight 1.82% increase in new listings, while the average and median sold prices increased ever-so-slightly by 0.94% to $424,609 and 0.84% to $362,000, respectively. 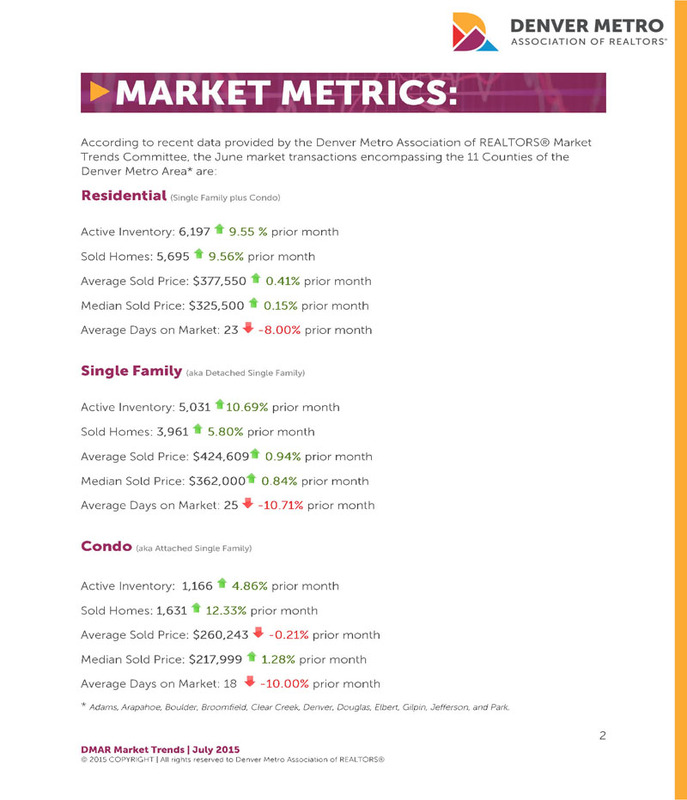 The Condo market (AKA Attached Single Family) showed the supply of new listings decrease 0.87% over the previous month, while the average sold price dipped 0.21% to $260,243 and the median price inched up 1.28% to $217,999. For the entire Residential (RES) market, which includes Attached and Detached properties, under contracts slipped slightly by 0.92%; sold listings shot up 10% and total sales volume jumped 10% to $2.15B. The Days on Market (DOM) declined from the previous month by 8%, or 25 days, for Detached Single Family Homes and 18 for Condos (Attached Single Family). 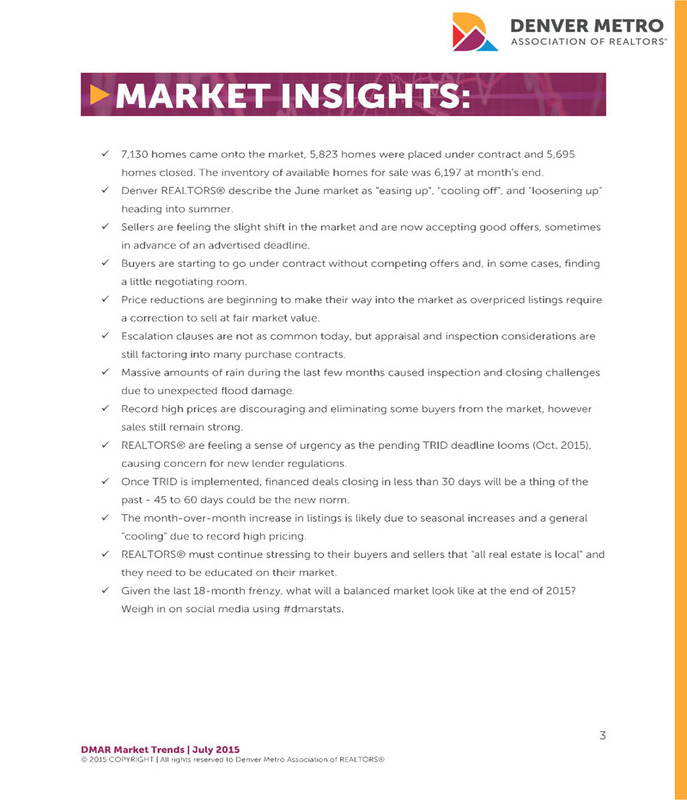 Finally, a quick summary of the year-to-date RES stats shows new listings at 35,060; DOM at 32; average price at $362,525 and a record-setting $9.24B in Sales Volume. Denver Post - "Metro Denver home sales hit a record dollar volume in June, with median price up 0.84 percent to $362,000"
Denver Business Journal - "Is Denver's residential real estate market cooling off?" 9NEWS ran the CBJ story - "Is Denver's residential real estate market cooling off?" Westword Magazine - "Is Denver's Gentrification a Problem that Needs a Solution?" 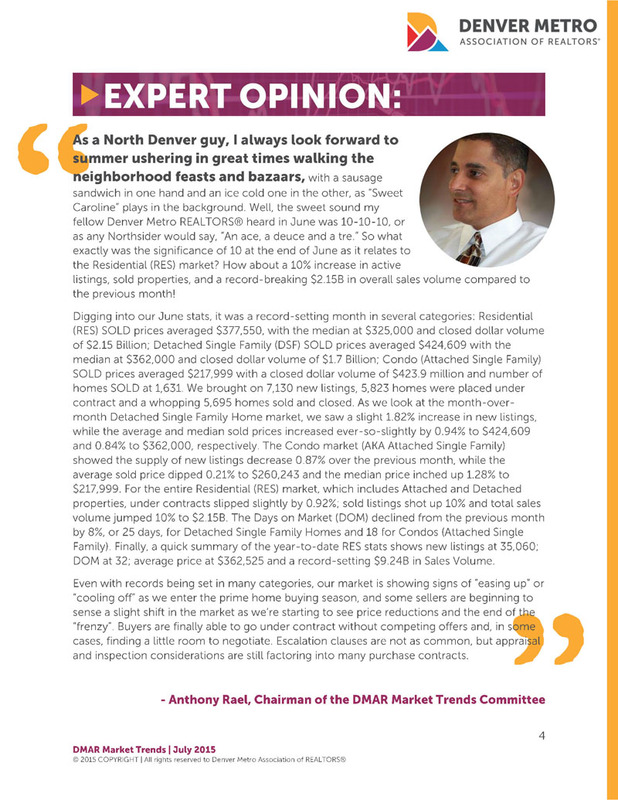 Denver Real Estate Watch - John Rebchook - "DMAR: June Sets Housing Records"